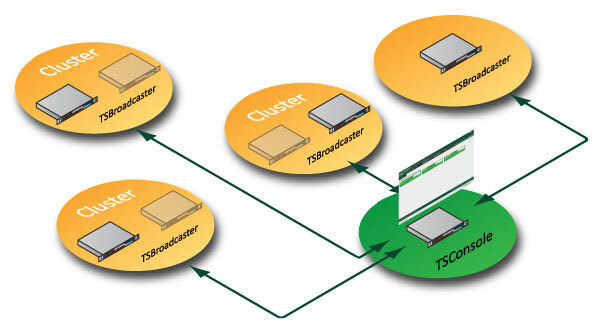 S&T’s TSConsole is an Enterprise solution for remote, system-wide management of multiple TSBroadcasters. TSConsole’s reliable, scalable platform features rules-based monitoring and alerts, mirrored TSBroadcaster configurations, and provides server redundancy in the event of an error or outage. TSConsole provides operational status of TSBroadcasters within a network from a single screen web UI, or via email alerts. Robust analytics and data metrics, as well as TSBroadcaster server redundancy are core benefits of TSConsole, providing greater return on investment for operators.